My husband and I got to check one off the bucket list this week - we saw a performance by Cirque du Soleil! We're always wanted to see a show but the opportunity had never presented itself. I didn't realize this, but Cirque du Soleil has a number of different shows. They have permanent shows in Las Vegas, New York, Orlando, and Riviera Maya in Mexico, and they also have quite a few touring shows. The show we saw is called OVO, which means "egg" in Portuguese. The story is set in an ecosystem, where insects work, play, eat, fight, and even look for love. When a mysterious egg ("ovo") appears in their home, the insects are fascinated and curious about the strange object. The show contains many acts that are characteristic of a circus - there are trapeze artists, acrobats, a tightrope walker, aerial performers, contortionists, and even clowns. But it's so much more than a traditional circus. One major difference from a regular circus (we saw the Ringling Bros. Circus earlier this year, so that's what I'm comparing it to) is that it is more like a play than a series of acts. It takes place on one stage, so it has a more intimate feel. 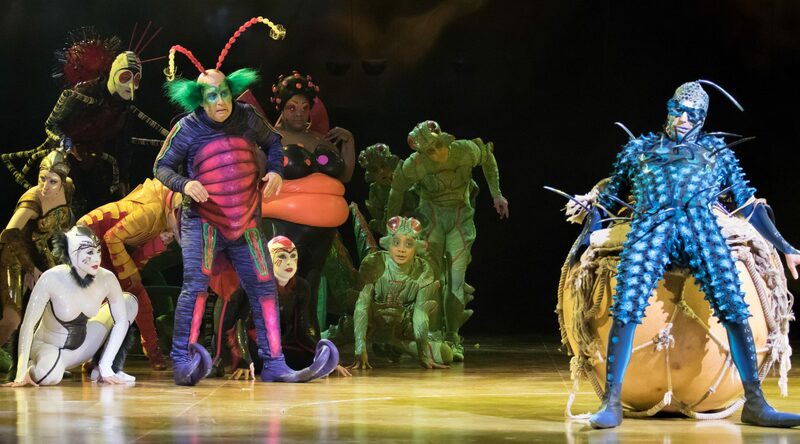 And it tells a fairly cohesive story, with the performers, costumes, and setting sticking to one theme (insects, in this case). But of course, the real magic of this show comes from the performers. They were simply incredible, with jaw-dropping (literally) feats and stunts. Interestingly enough, all 4 of my family members had a different favorite act. Vic picked the aerial dancers as his favorite performers. Sophia (age 11) liked the tightrope walker best, and Amelia (age 9) picked the contortionist. And as for me, I loved the acrobats - the sticky crickets at the end of the show who jumped, flipped, and stuck to the wall. If you have the chance to see OVO, go for it! Save $10 off tickets to the show with promo code OVO10. 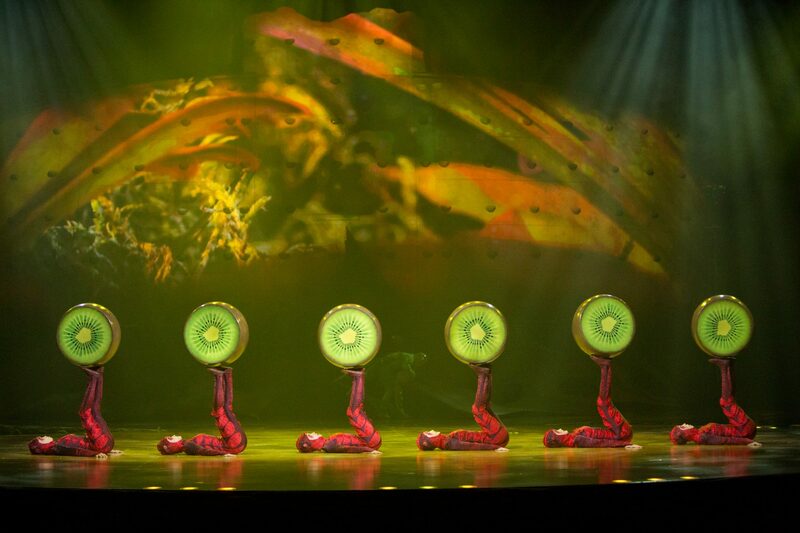 Visit cirquedusoleil.com/ovo to find tour dates, purchase tickets, and learn more about the show.